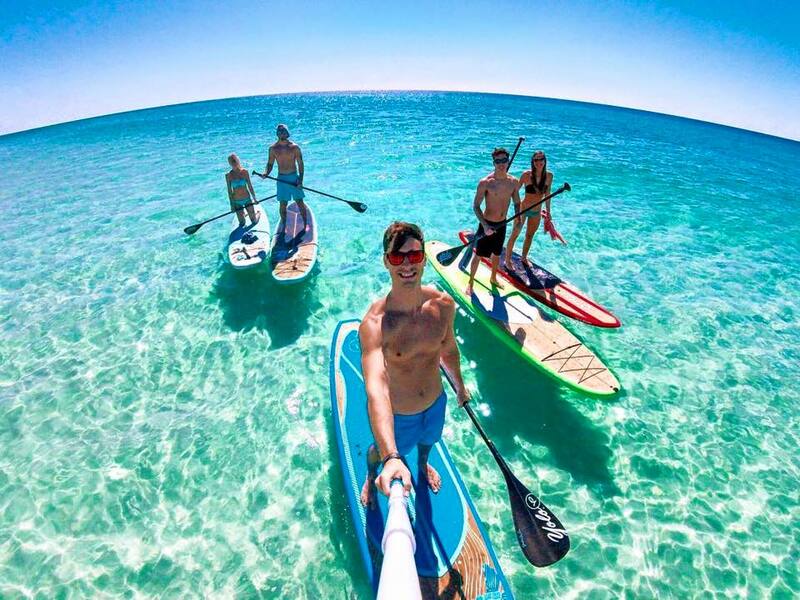 Adventure Hunt is a fun and adventurous modern day treasure hunt where participants complete challenges and activities to win GoPros, adventure gear, even a free trip to Panama for two! Thousands of people across the USA have competed in a ‘Hunt’, completing adrenaline pumping challenges in a battle to win awesome prizes. To drive brand awareness and attract new participants, Adventure Hunt has leveraged a range of Facebook and Instagram marketing strategies. Okendo has been a critical component to the success of these strategies, enabling Adventure Hunt to tightly integrate user-generated content into both paid advertisements and organic posts. Adventure Hunt is a true experience provider. For many participants, competing in a Hunt is one of the most rewarding and exciting experiences of their lives. For founders, Jared and Sean Bingham, the challenge was never about how to how to improve the experience but rather how to capture and communicate the incredible sense of adrenaline and excitement Adventure Hunt participants feel. “We knew nothing we as a company could say would come close to describing the emotions our customers experienced as they complete the various challenges and activities. Our product is not one best described and communicated by traditional brand messaging. Rather, it is our awesome Hunters who are the far better positioned to tell the world about Adventure Hunt, using their personal experiences as the messaging and own social media accounts as the communication channels” explains Jared. “Our challenge therefore was two fold; 1 - how can we capture these highly personal, highly emotional experiences and then 2 - how do we communicate Hunt experiences as part of our marketing efforts in a way which is both scalable and cost effective”. Adventure Hunt now has a technology platform where the experiences of Hunt participants can be captured, published and promoted. For individuals considering registering for a Hunt, to hear the thrilling stories of past participants was incredibly compelling. Adventure Hunt quickly found that registration rates went up for all Hunts with a mass of customer reviews. The customer content was also perfect for sharing to Facebook and Instagram, helping to increase the effectiveness of Adventure Hunt's social media strategies. At all key stages of the shopper journey, customer content collected by Okendo was able to play a crucial role in driving results. Using Okendo, Adventure Hunt was able to align the natural behaviour of participants taking photos and videos of their experiences with their strategic marketing objectives of attracting new Hunt entrants, and encouraging past participants to re-enter. “The same day that participants complete a Hunt, Okendo sends a link inviting them to complete a review of their experience. We encourage participants to upload all the great photos and videos they have taken throughout the day as well as asking them to provide a rating for the specific challenges they completed" explains Jared. To support the core objectives of increasing site traffic and Hunt registrants, Adventure Hunt was then able to leverage this awesome customer content within their marketing strategies. 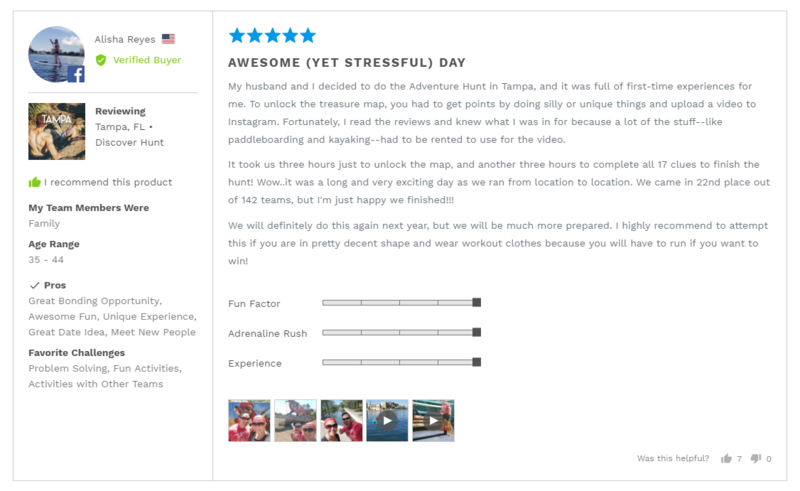 A dedicated page on the Adventure Hunt website was built to showcase customer reviews and pictures and videos. Feedback for specific Hunt locations was also showcased on the associated registration pages driving conversions of new participants. "We've been blown away at how effective Okendo has been at super-charging our customer content strategies. 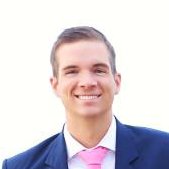 We have been able to automatically collect really amazing content from Hunt participants and then leverage it across a range of strategies and channels to drive new and repeat sales."